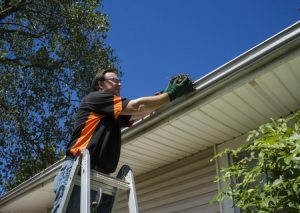 Are you tired of struggling to protect your gutters from falling debris? Have you cleaned out too many clumped-up leaves and bird nests to count? 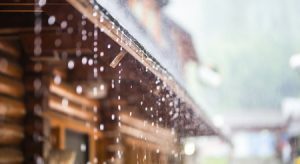 Luckily, you can now guard your gutters with LeafTech Gutter Protection System and never have to worry about clogged gutters again. The LeafTech system is unlike anything else on the market. For maximum protection, it features a built-in hood and louvers. As water and debris begin to flow down from the roof, the louvers work to their progress. Then, the water gradually seeps into the holes of the built-in hood to filter out large pieces of debris. This system also prevents dirt from running down the face of the gutters, keeping them clear and looking clean! What are the benefits of using the LeafTech System? 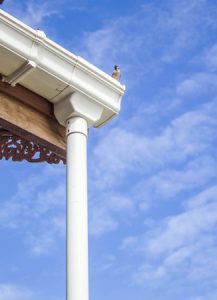 This system keeps your gutters free of debris, which not only keeps them looking good, but also prevents unwanted critters and insects from making themselves at home in your gutters. When water pools in clogged gutters, for example, the stagnant water becomes a breeding ground for mosquitos. Accumulated leaves and sticks, meanwhile, can attract birds and squirrels to your gutters. The LeafTech system is specifically designed to keep debris out, so those pesky critters will be less likely to cozy up in your gutters. 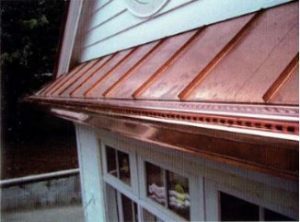 LeafTech is also available in twenty-one colors, so you’re sure to find the perfect match for your home! 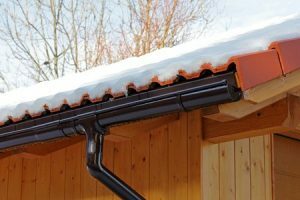 Interested in learning more about the LeafTech system or any of the other products and services we offer at Bell Seamless Gutters? Give us a call today to speak with a representative!